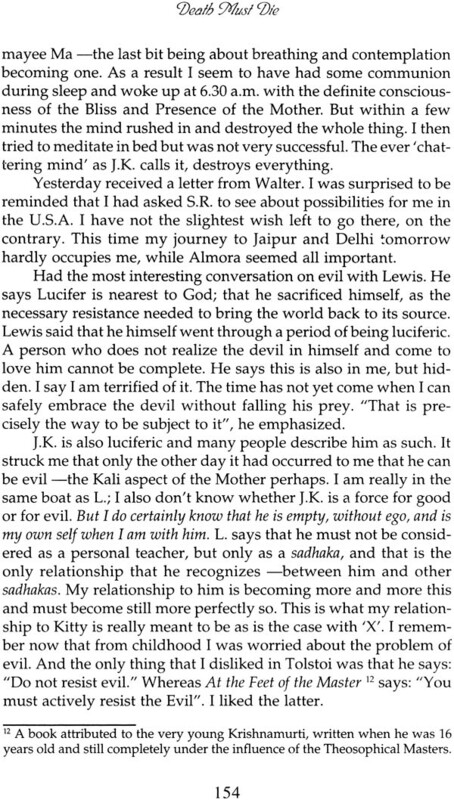 "Looking at Her I felt that she is not a body, but just light. 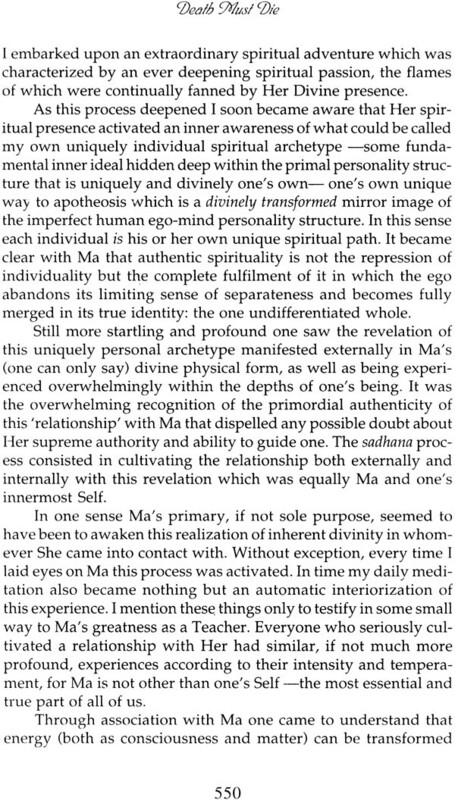 She seemed to see through me with all my shortcomings. 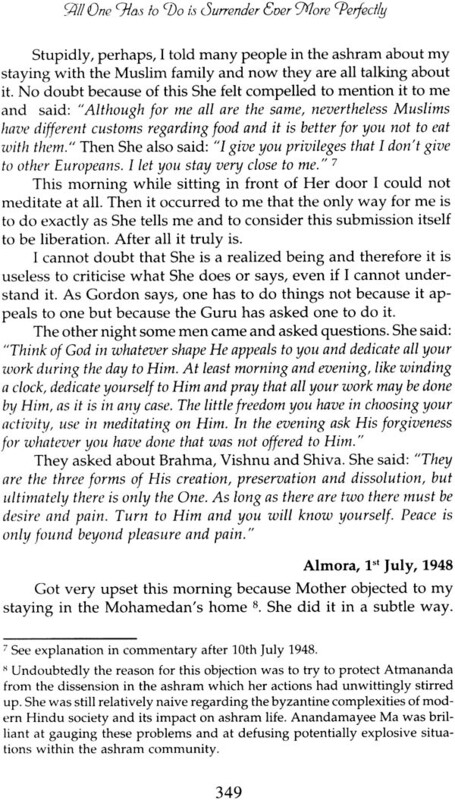 All night I prayed to Her: Take possession of me completely, don't let a particle of me remain." 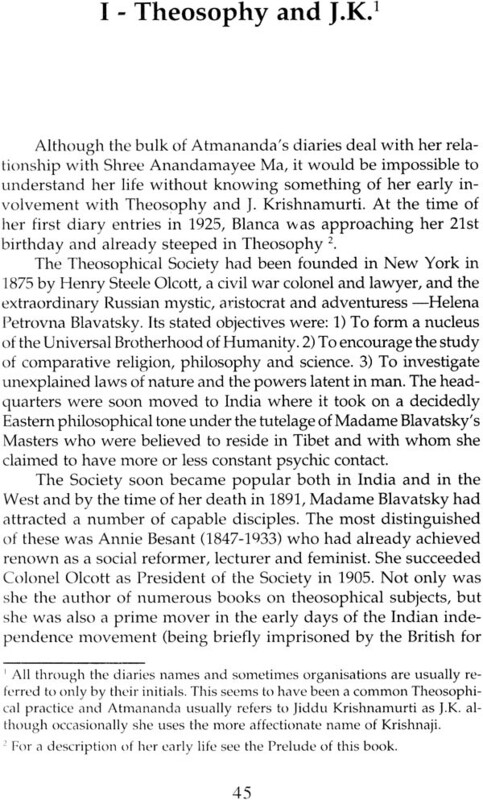 Death Must Die gives an intimate first-hand account of a courageous woman's spiritual quest in close association with several of India's greatest modern saints. 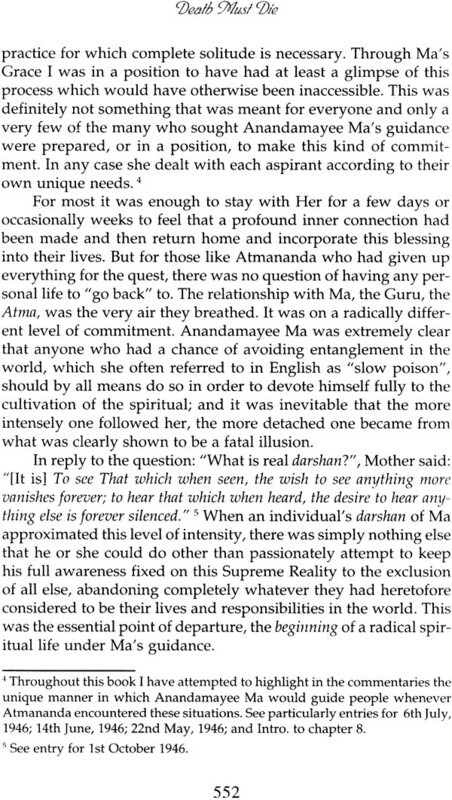 Unfolding against the back-drop of Banaras in the 1940's where she lived as a teacher and musician we are given an in-depth picture of her intense relationship with the extraordinary woman who becomes her guru - Sri Anandamayee Ma. 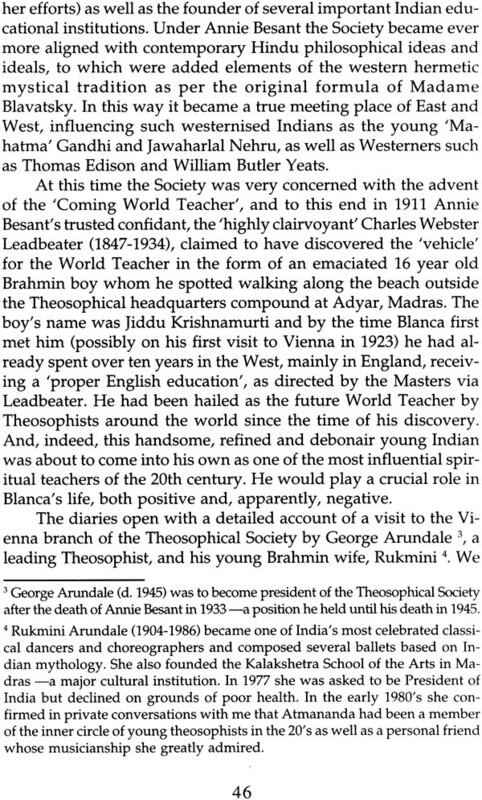 Atmananda, as the came to be known, was also closely associated with J. Krishnamurti, and a unique picture is given of him here in comparison with his peers and contemporaries within India. 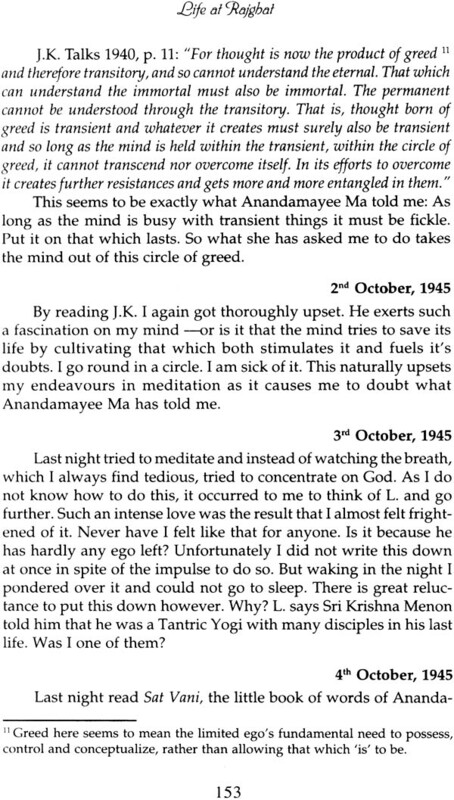 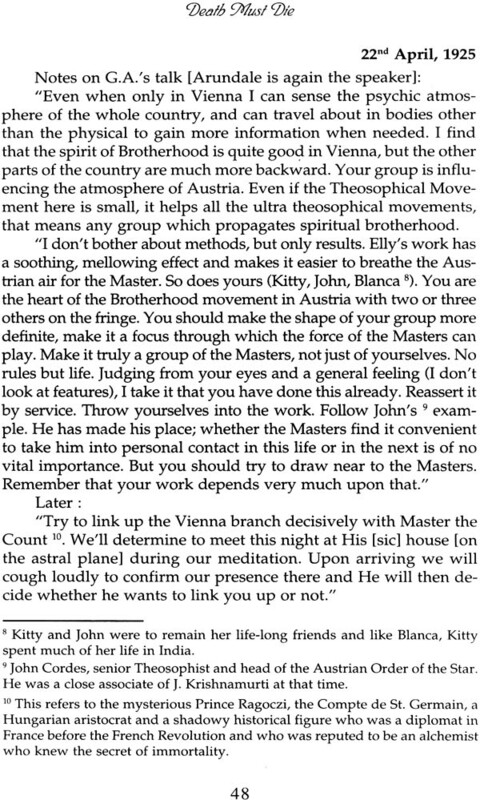 In her almost obsessive desire to "understand" J.K., as she calls him, she was driven ever deeper into the heart of Indian spirituality, encountering Sri Ramana Maharshi, as well as other outstanding Indian sages, before ultimately coming to the feet of Anandamayee Ma. 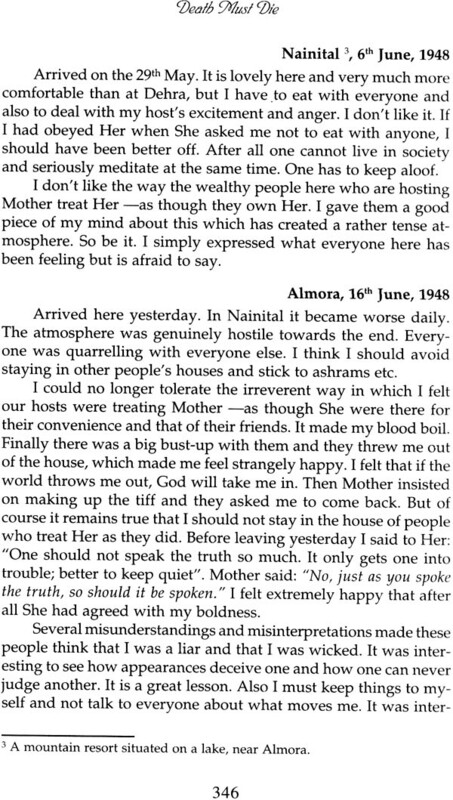 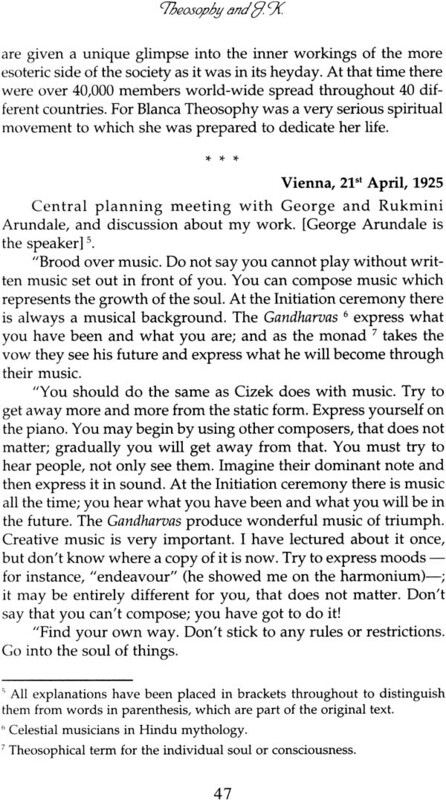 Although written in a diary format, Atmananda's story reads almost like a novel, beginning with her youthful involvement with Theosophy in the Vienna of the 1920's followed by her coming to Banaras to teach at Krishnamurti's school. 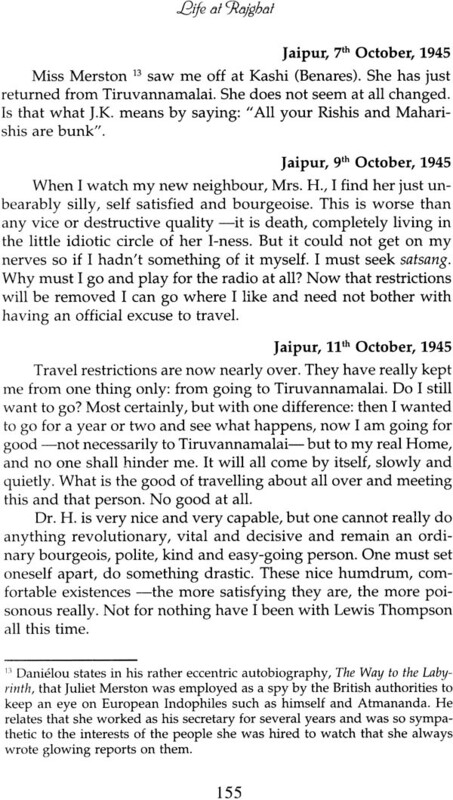 Here we encounter several of her friends and fellow travelers, in particular the English poet and mystic Lewis Thompson who exerted a profound influence on her. 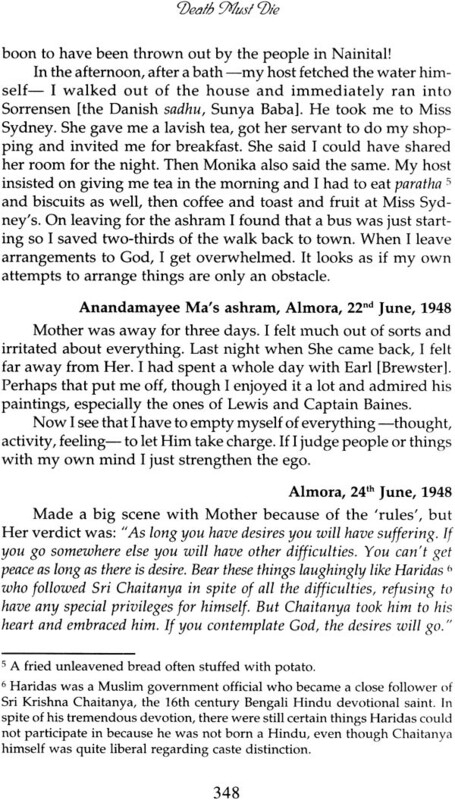 In 1945 she came in contact with Anandamayee Ma with whom she embarks on the great spiritual adventure of her life as told here-in, culminating in sannyasa, the ultimate renunciation. 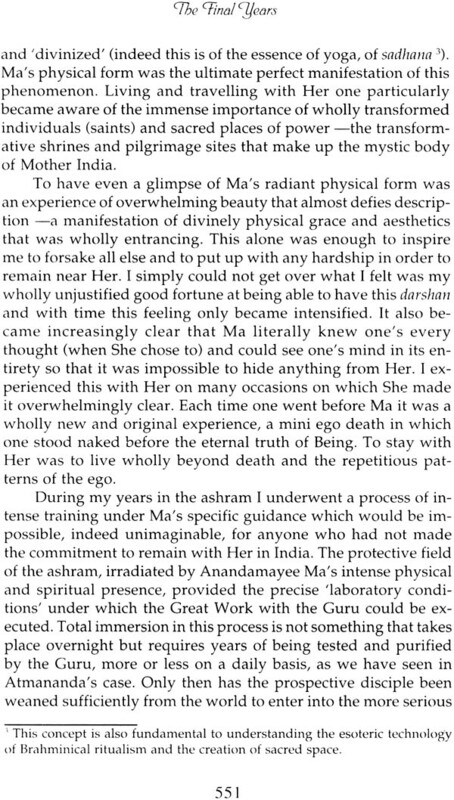 In particular, this book gives a true darshan (an experience of the presence) of Anandamayee Ma and the unique way in which she guided people of self-illumination. 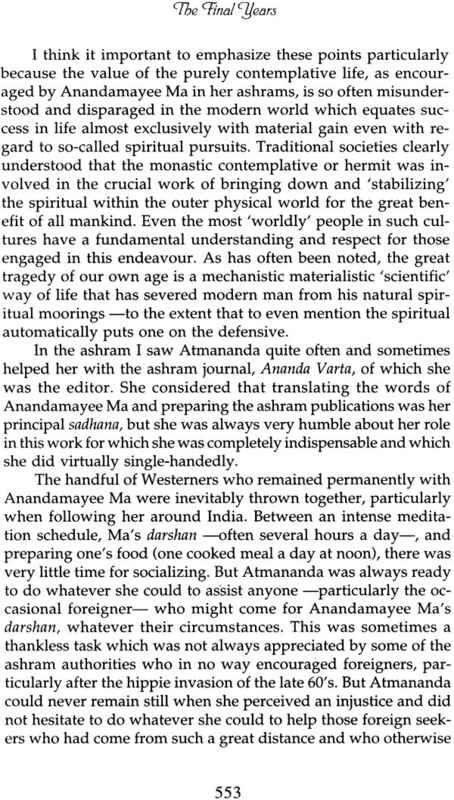 Ram Alexander, who was a close friend of Atmananda's and a fellow disciple of Anandamayee Ma, writes with insight into the guru-disciple relationship and the particular problems that arise when a westerner enters into this within a traditional Indian context.